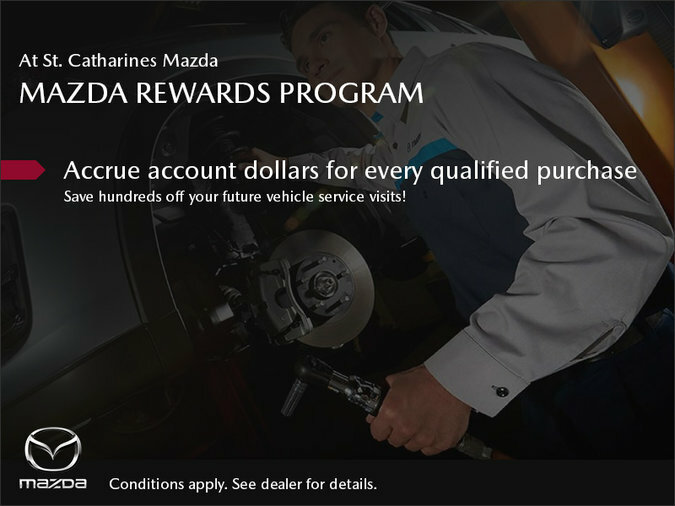 The St. Catharines Mazda Rewards Program puts money in your pocket! Accrue account dollars for every qualified purchase and save hundreds off your future vehicle service visits! Membership comes standard with every New and Pre-Owned vehicle purchase.